After a childhood of dancing, Shannon graduated from Illinois State University with a Bachelor of Arts. Fortunate to have studied with amazing teachers, Bea Rashid, Evon Freund, Laurie Merriman, and Gayle Kassing, she developed progressive programs in both Ballet and Early Childhood for many studios around the South Suburbs. 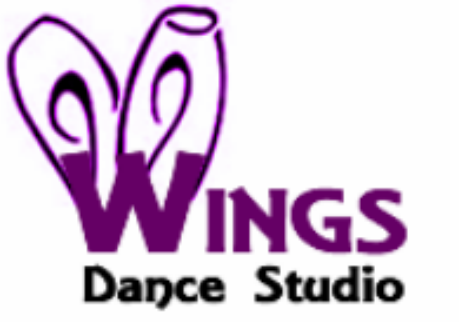 Finally in 2010, Shannon opened Wings Dance Studio with the goal of creating a training ground for concert dancers in the suburbs. Along with realizing her dream of boosting the dance presence in the South Suburbs of Chicago, Shannon is a teacher member of the Cecchetti Council of America, a member of the Chicago National Association of Dance Masters, co-director of Soar Dance Company, and resident choreographer for Lockport Homer Youth Theater. Shannon is very proud for Wings to have been awarded ADCC Studio of Excellence in 2017. Aimee started dancing when she was 3. She attended conventions and competitions throughout grade school and middle school dancing with some of the best teachers and dancers in Chicago. Aimee danced on the award winning Xtreme Dance Force team, was a competitive gymnast and studied ballet with Ms. Evon Freund. She was on a State Championship Poms team in high school and went on to graduate from St. Xavier's with a teaching degree. Aimee is the co-director of Soar Dance Company. ​Diana is a graduate from the University of Illinois at Urbana-Champaign (UIUC) with a BS in Psychology and a Minor in Business. While studying at UIUC, she was a member of 3spot Dance troupe, as well as Dance 2XS, an international Hip-hop dance company. Diana was a principal dancer for Rodriguez Dance Theatre, a modern dance company located in the northwest suburbs of Chicago, from 2011-2013 and is currently a dancer for The Kate Jablonski Statement (KJS). Maggi Leise received her degree in physical therapy from University of Illinois at Chicago in 2000. After graduation, she began her career in an Olympic weightlifting facility prior to guiding focus on manual therapy techniques. Maggi spent over a decade designing and progressing a pelvic health physical therapy program that is now nationally utilized. Maggi returned to the Performing Arts arena nearly a decade ago and shifted her focus to injury treatment and prevention of dance athletes. While continuing to practice physical therapy, she is also a tap instructor at Wings Dance Studio. Maggi is passionate about not only the art of tap, but also guiding each student's awareness of their physical capabilities. Maggi believes the power of positivity is key to building success in life. Maggi and her husband, Greg, have four very spunky daughters entertain them daily. ​Nancy began her early dance training in Atlanta, Georgia and worked with many companies including Southern Ballet Theater, Florida Ballet, Connecticut Ballet, and Ballet New York. She performed principal and soloist roles from Giselle, Swan Lake, Romeo and Juliet, Cinderella, Les Sylphides, and Coppelia, as well as working with a wide variety of contemporary choreographers. Career highlights include touring and dancing with jazz legend Al Jarreau at Carnagie Hall and performing at Lincoln Center with the New York City Opera. Nancy has also worked extensively in musical theater and film, including the movie "Center Stage" and original Fosse choreography . Besides performing, Nancy teaching, coaching, and choreographing at schools and companies across the country. Jacqueline began her ballet training in Mexico. Having studied in the Royal Academy of Dance (RAD) method she graduated through all the levels. She was the first student to present and pass in Mexico the highest level exam of Solo Seal. She performed in Germany with the “Theatre of Hagen”. Returning to Mexico she performed with the “Compañía Nacional de Danza Clásica de Mexico” where she was exposed to the Cuban Ballet method. She also danced with “Rhythme et Structure” in Paris, “Venetia Stifler and Concert Dance Inc.” and “Soul & Duende Spanish American Dance Theatre” in Chicago. In 2007 she began studying the Cecchetti method with Karla Harris. In 2017 she achieved the Cecchetti Council of America Diploma Teacher Certification. Ally received her Bachelors of Science in Dance Education with a minor in Health Education from Illinois State University. Throughout her years at Illinois State University, Ally was an active member of both Dance Theatre and Dance Association. As a student of the dance program, Ally was provided the opportunity to work under the direction of Sara Semonis, Darby Wilde, Gregory Merriman, Jennifer Harge, guest artists Kim Neal Nofsinger and international guest artist from Brazil, Fernando Martins de Paiva. Ally has also had the opportunity to travel and attend many different dance intensives and festivals throughout her dance career such as The American Dance Festival Winter Intensive, The Dance Professionals Workshop at the American Dance Festival. Ally received a scholarship to attend the Six Week School at the American Dance Festival, has studied abroad in Brazil at the Universidade Federal de Vicosa, and attended the LehrerDance Summer Intensive where she was able to dance under the direction of Jon Lehrer. In addition to teaching, Ally is also a third year company member of Outlet Dance Co.Over the past few years Ally has had the opportunity to set her choreography on multiple dance companies including: Outlet Dance Co, Illinois State Dance Association, Minooka Community High School’s Orchesis Company, Senn Arts in Chicago, CAPA Dance and Soar Dance Company! Ally is excited to continue teaching at Wings Dance Studio and looks forward to seeing the students grow as dancers and artists! Matt Casey is a professional actor, singer, and dancer based in Chicago. He graduated from Rockford University in Rockford, Illinois in 2010 where he earned a BFA in Musical Theatre Performance. He dove right in to the professional theatre world and has performed on stages all around the country in many different theatre companies and in national tours, including the national tour of “Seven Brides for Seven Brothers”. Matt moved to Chicago about two years ago. Since then, he has danced in the ensemble of “Nice Work if You Can Get it” at Theatre at the Center in the Spring of 2016 and “Chicago” at Drury Lane Theatre Oakbrook this past Spring. He will also be spreading Christmas cheer this year as part of the ensemble of Paramount Theatre's production of “Elf” in Aurora. In addition to being on stage, Matt has had many opportunities to be on the creative side of the table. He has taught Acting and Musical Theatre classes for students in grades 1 through 12, directed and choreographed numerous children's productions, and choreographed a production of “Anything Goes” for a professional regional theatre. Matt loves choreographing and directing just as much as performing, and he is thrilled to be able to teach and create with Wings Dance Studio. Born in Aurora, IL. Jasmine Mark started dancing at the age of three. She has a passion for hip hop and has trained in ballet, jazz, contemporary, and more. From 2006-2013, she joined Midwest Edge Dance Academy in Aurora and was selected to dance on the competitive hip hop team under the instruction of Chris Xayarath. Jasmine is one of the few that continues to dance after graduating from the competitive world and travels with Chris around the Chicagoland area to teacher assist all ages since 2015. Jasmine loves working with kids and shows that by being a Nike Community Ambassador. She was also selected to teach over 300+ participants a self choreographed routine at a Dance Marathon fundraising event in February 2018. Jasmine’s never ending dance journey continues with her passion to become a better dancer and teacher.